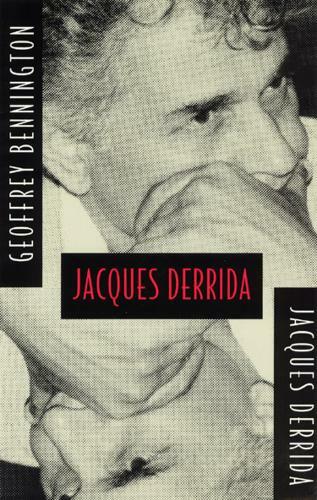 Geoffrey Bennington sets out here to write a systematic account of the thought of Jacques Derrida. Responding to Bennington's text at every turn is Derrida's own, excerpts from his life and thought that resist circumscription. Together these texts, as a dialogue and a contest, constitute a critical introduction to one of the leading philosophers of the 20th century. Bennington's account of Derrida leads the reader through the philosopher's work on language and writing, and through more mysterious themes of signature, sexual difference, law, and affirmation. Seeking to escape this systematic rendering - in fact, to prove it impossible - Derrida interweaves Bennington's text with surprising and disruptive "periphrases": reflections on his mother's death agony, commentaries on St. Augustine's "Confessions", memories of childhood, remarks on Judaism, and references to his collaborator's efforts.